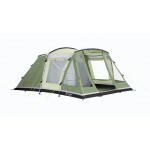 The Invader's are the last of the traditional Sunncamp Vario-style tents left in the range for 2012. The Invader (Darth to his mates) is an impressive tunnel tent incorporating lots of features to make life more comfortable while still offering great user versatility and all at an affordable price. The Invader has a large front roll-back 'J' door and a side canopy door that can be propped out to use as a sun porch (porch poles not included). 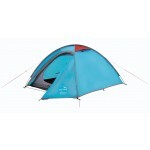 It has a completely sewn-in living area groundsheet thereby avoiding drafts and damp entering the tent. 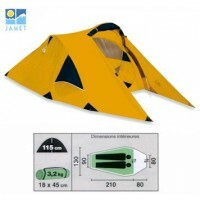 The separate 4-berth+2-berth inner tents are breathable polyester with PE groundsheets and the 4-berth inner also has a removable divider curtain. There are two front windows plus two side windows each with internal curtains while the side windows feature mesh vents above. 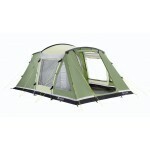 There are also lots and lots of additional features which give this tent an air of quality; a cable entry point; lantern hanging point; full length organiser pockets; double seamed zips on doors; ventilation panels on bedroom 'D' doors; zipped rear vents on bedrooms; storage pockets to all bedrooms; external heavy duty valance/mudwall for extra protection. Technical specifications include fibreglass poles, fluorescent zips and webbing, 75D polyester flysheet with taped seams and hydrostatic head of 4000mm, pitched flysheet first, compression bag and repair kit provided. . 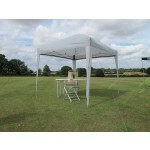 This is a single poled canopy that will attach perfectly to the front of the Invader for all those al fresco uses. 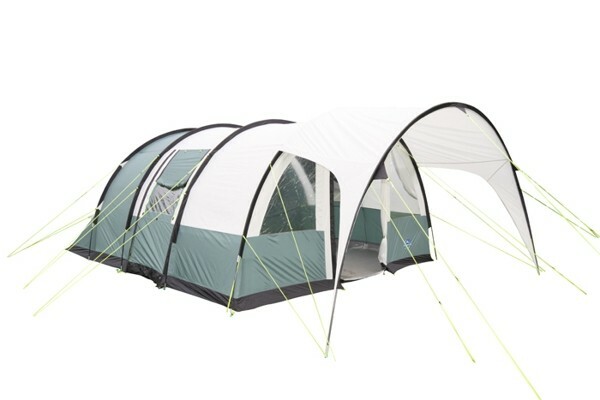 And why not add the Sunncamp Verano DL Extension to your package which will add a seamless, fully enclosed side porch to your tent. 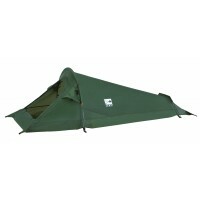 Sunncamp Invader 600 Tunnel Tent.